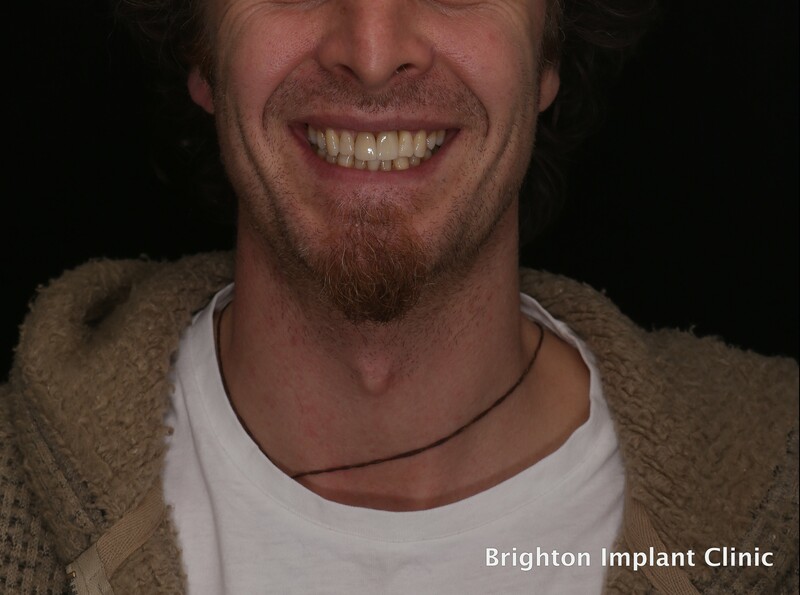 Dental implants can be used to replace a single to multiple teeth. 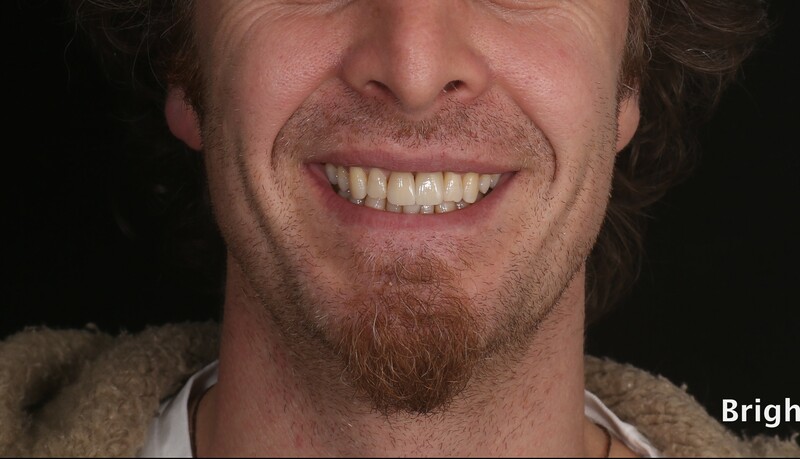 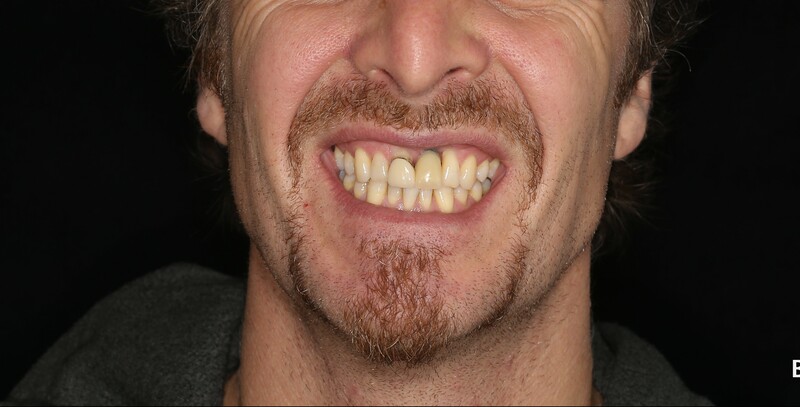 In our clinic we often see cases where upper anterior teeth are damaged due to trauma. 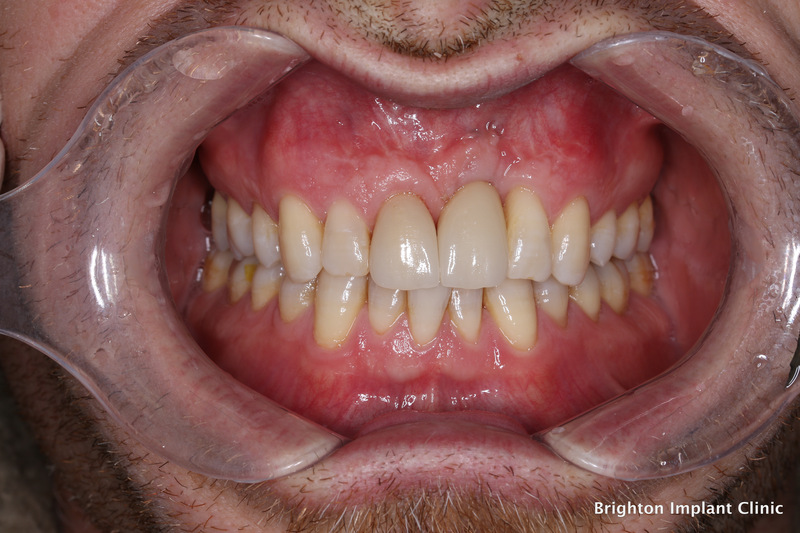 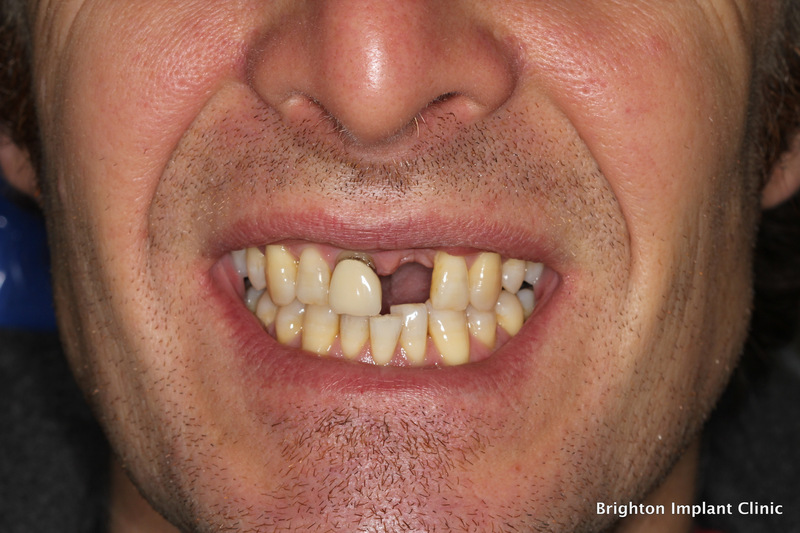 When an upper front tooth suffers an impact force the damage can be quite severe. 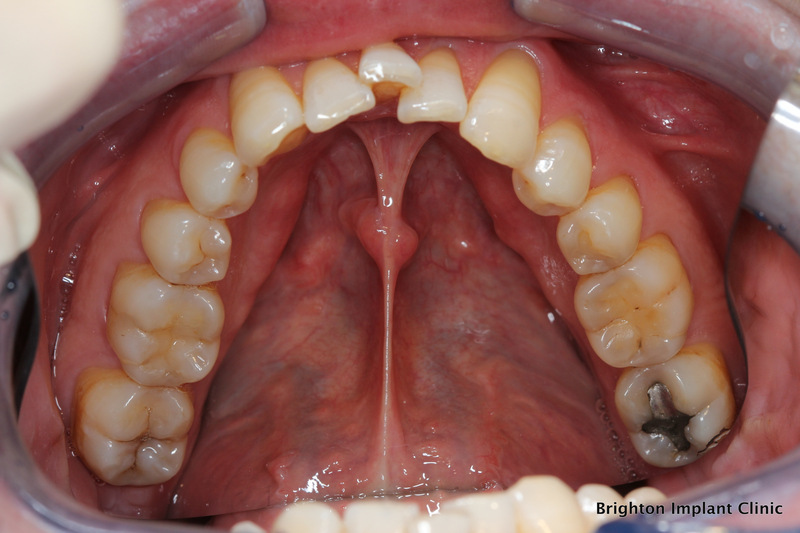 Each tooth has a blood and nerve supply and this can be compromised when there is a traumatic force to the tooth. 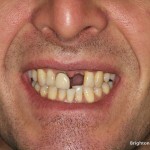 In a case where the nerve or blood supply are damaged the tooth will become non-vital. 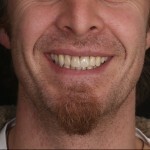 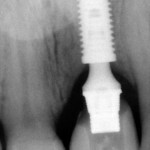 The usual treatment for non vital teeth is root canal treatment. 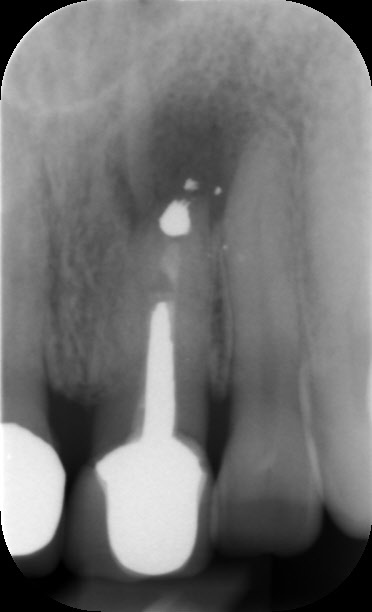 In some cases the root canal treatment may be unsuccessful as the tooth continues to become infected and may cause long term pain and discomfort. 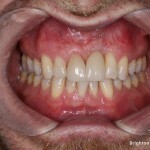 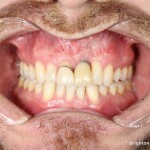 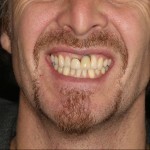 In this case we saw a patient that trauma on two of his upper front teeth. 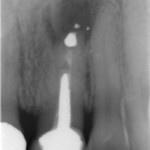 The upper left central incisor was root canal treated. 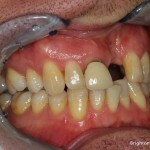 After a few years this treatment was unsuccessful and a second attempt to remove the infection was carried out. 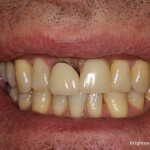 This second procedure is called an apicectomy and is a small surgical procedure that involves removing a part of the infected root tip and the infection around the tooth. 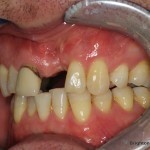 This result of this treatment can be seen on the second photo in the gallery. 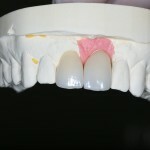 A small filling material is placed into the root in order to seal the infected root. 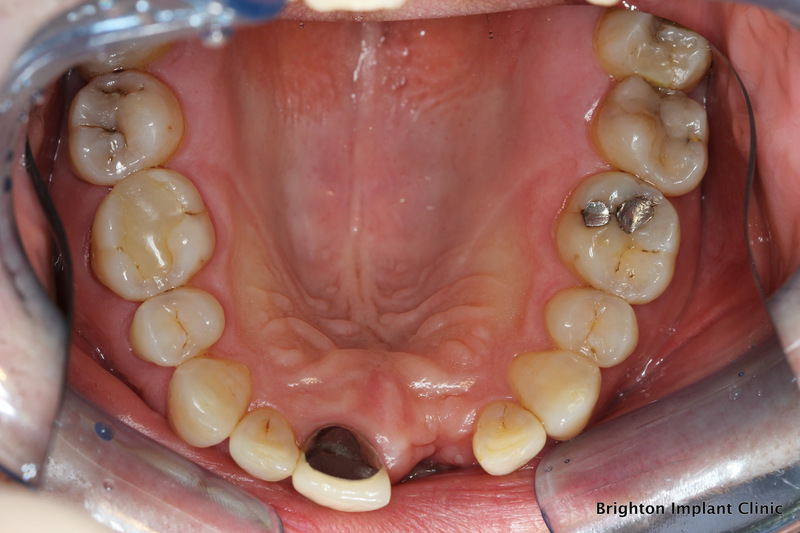 The material used was usually amalgam which is no longer used today. 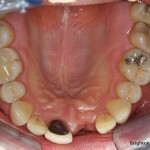 Despite 2 attempts the tooth continued to be infected and eventually needed removal. 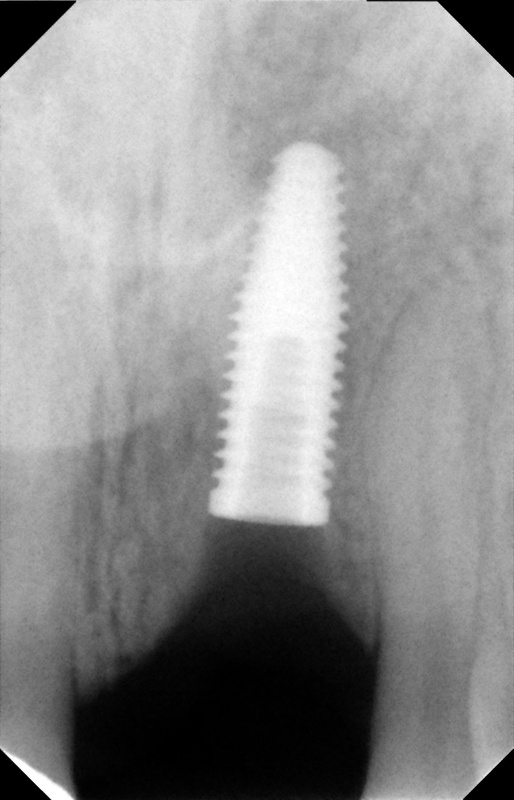 The patient presented to our clinic with an infected root and we recommended that this be removed and an implant placed. 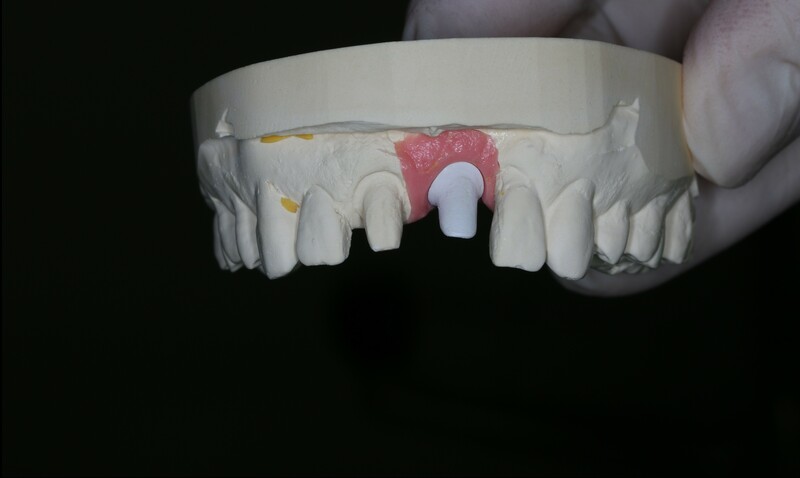 Four months after the first implant was placed we noted that the implant was not healing properly and it was removed due to failure. 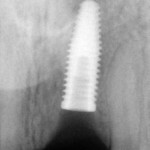 A further 4 months was allowed for the bone to heal and a second implant was placed. 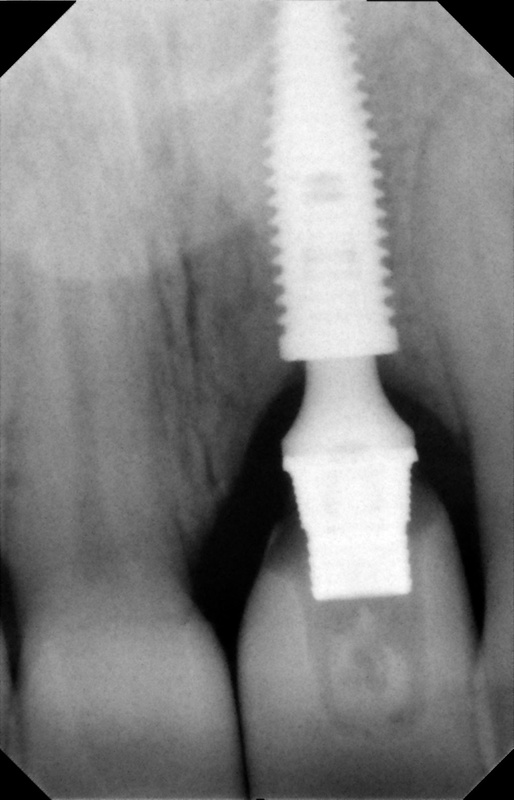 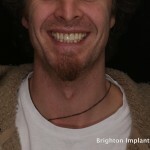 Fortunately the second implant was successful and the bone healed really well around the implant. 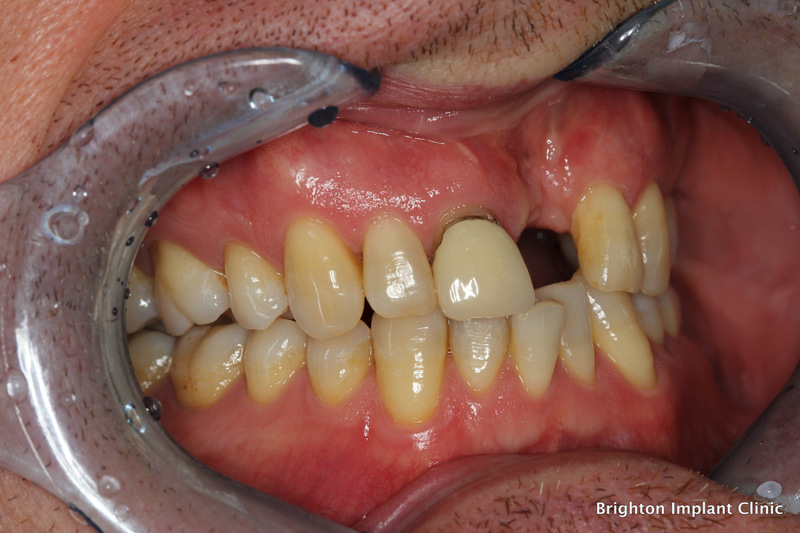 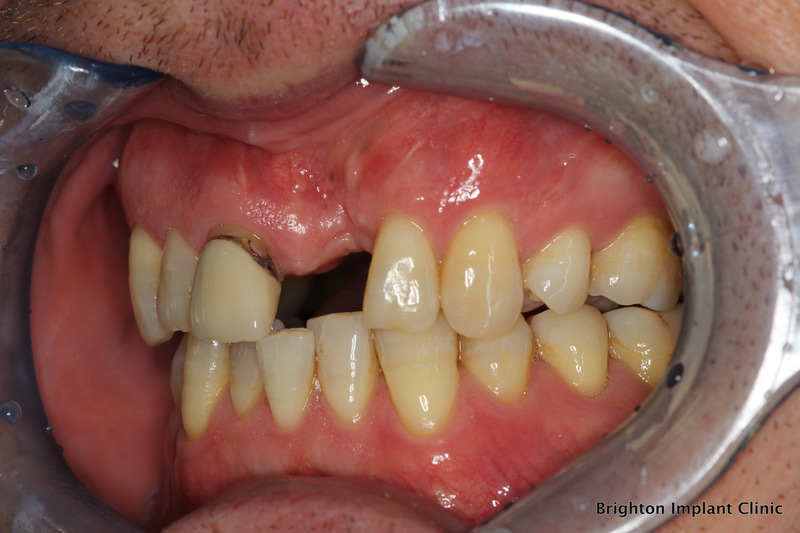 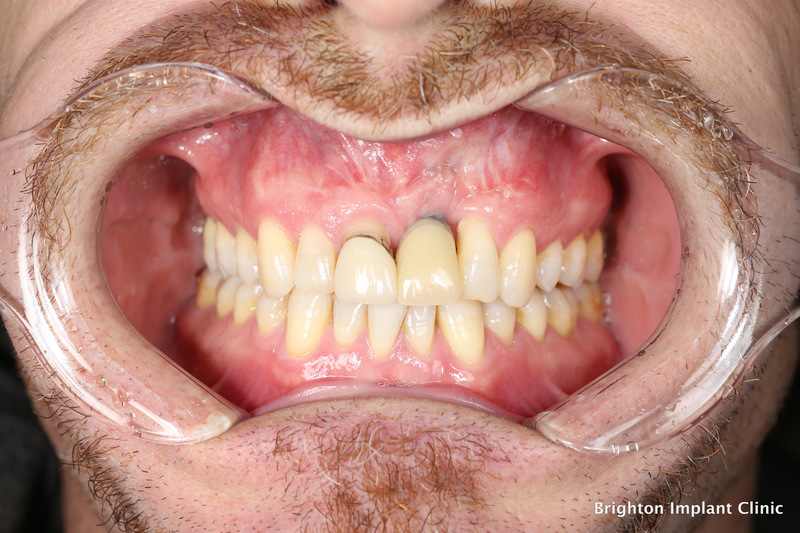 A provisional crown was made and the patient used this for a period of over 4 months. 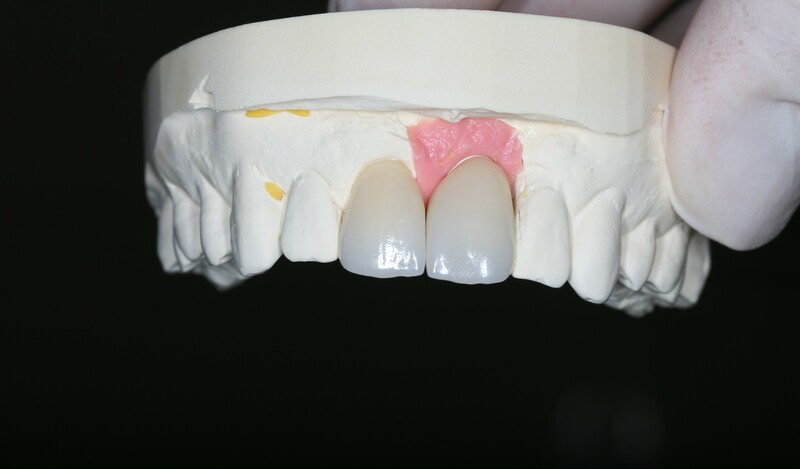 Once it was confirmed that the implant was fully integrated the patient decided that it was best to replace the natural crown on the upper right central incisor. 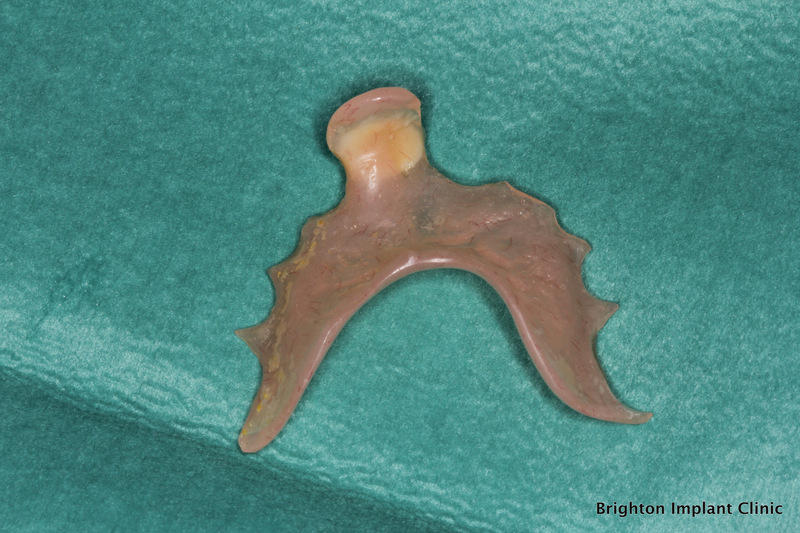 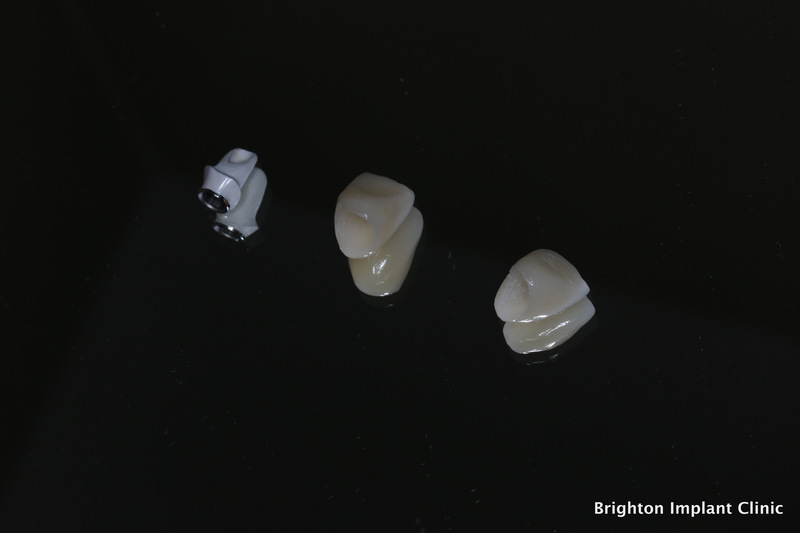 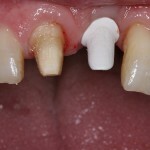 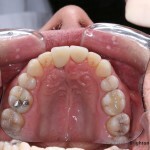 The choice of materials for both crowns was a metal free ceramic. 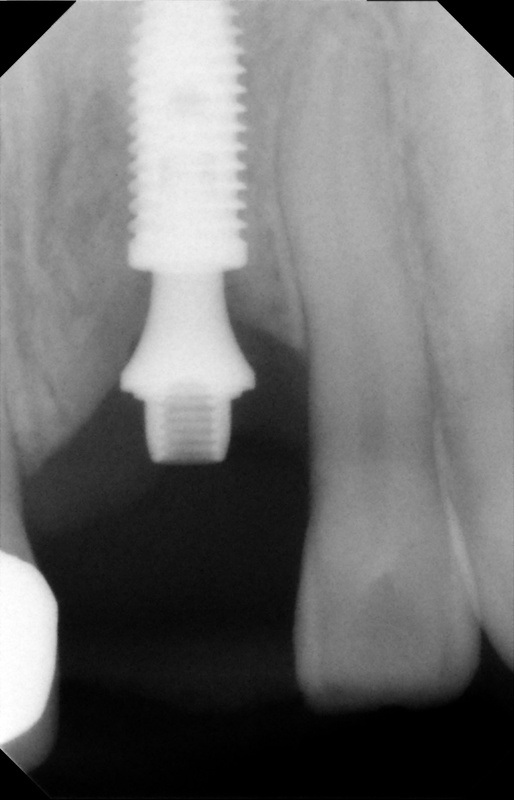 In our clinic we used ivoclar emax. 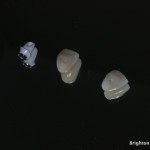 The aesthetics of this material are great, giving crowns a natural appearance and high strength. 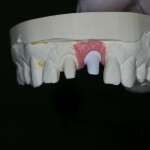 We also used a new material from Bredent called BioHpp which formed part of the implant abutment. 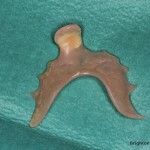 This high performance polymer has been used in orthopedics for some time as it has similar properties to human bone. 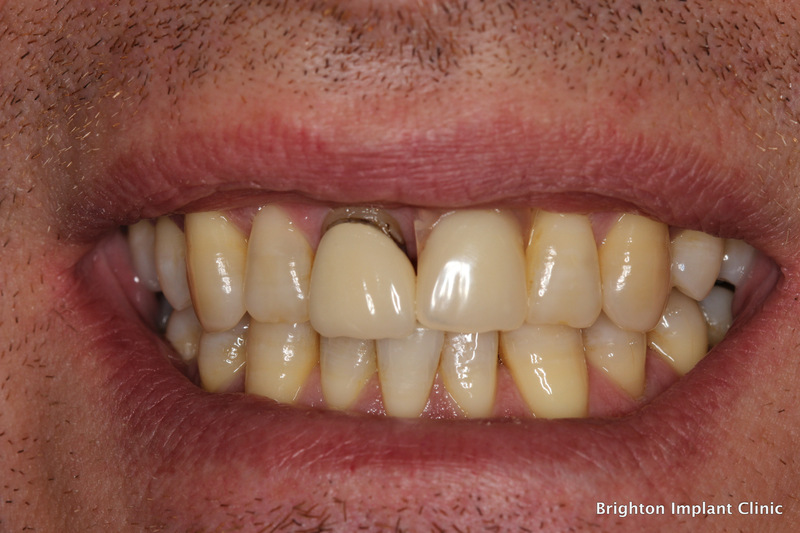 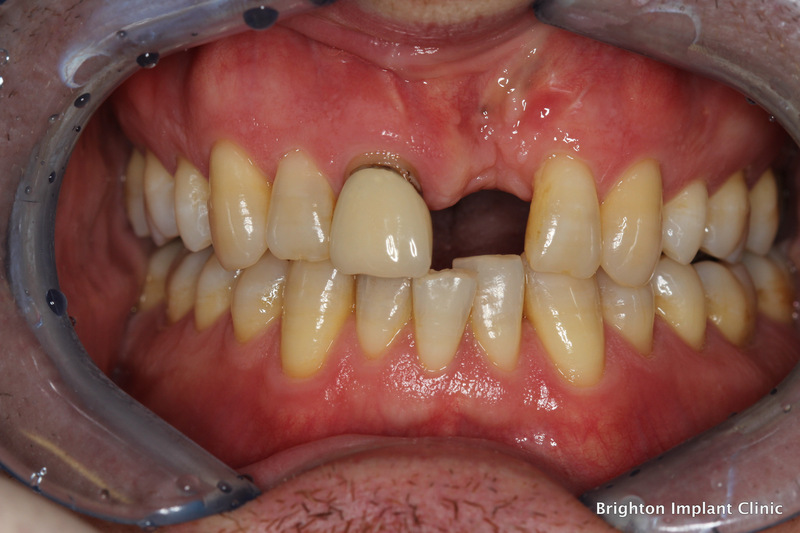 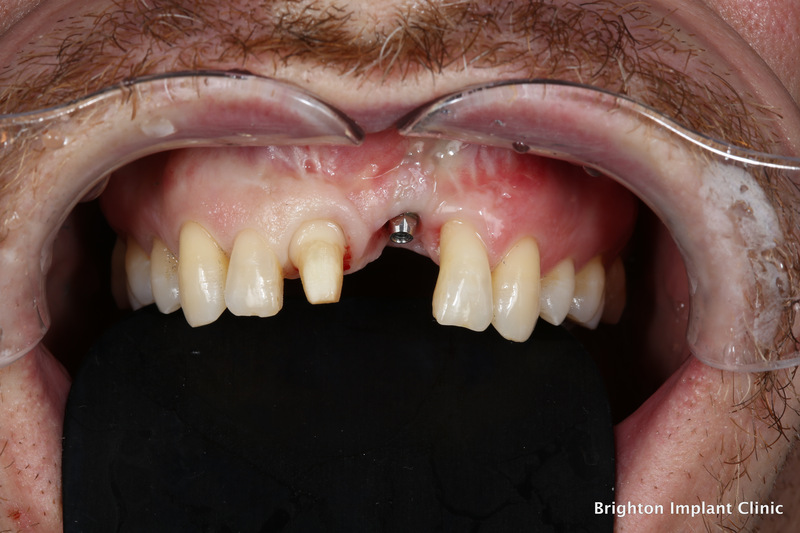 The final implant crown was slightly longer than the natural tooth however this was due to the repeated infections in the area and the bone loss that ensued.